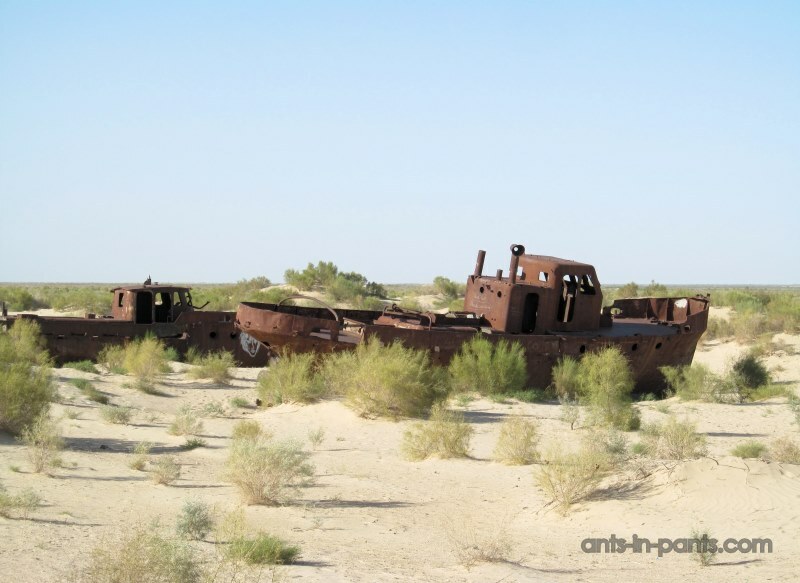 Aral Sea used to stretch from Kazakstan to Uzbekistan being the fourth largest saline lake in the world. 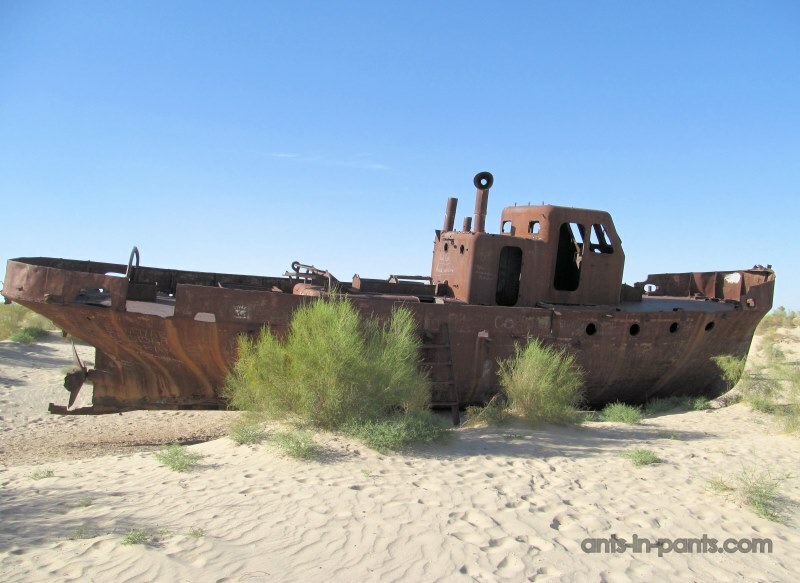 Once half the size of England, from about 1960 the Aral Sea’s water level was systematically and drastically reduced because of the diversion of water from the Amu Darya and Syr Darya rivers for purposes of agricultural irrigation. 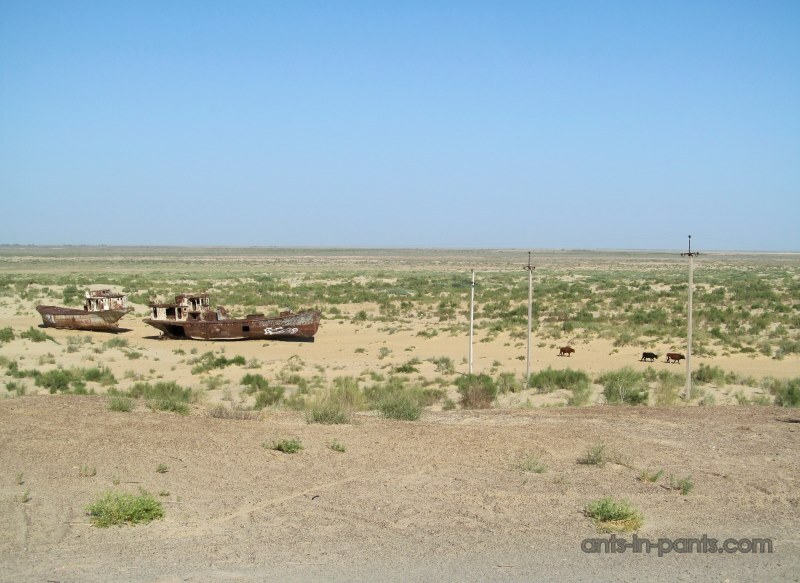 As the Soviet government converted large acreages of pastures or untilled lands in Uzbekistan, Kazakhstan, Turkmenistan, and elsewhere into irrigated farmlands by using the waters of the abovementioned rivers, the amount of water from them that reached the Aral Sea dropped accordingly. By the 1980s, during the summer months, the two great rivers virtually dried up before they reached the lake. 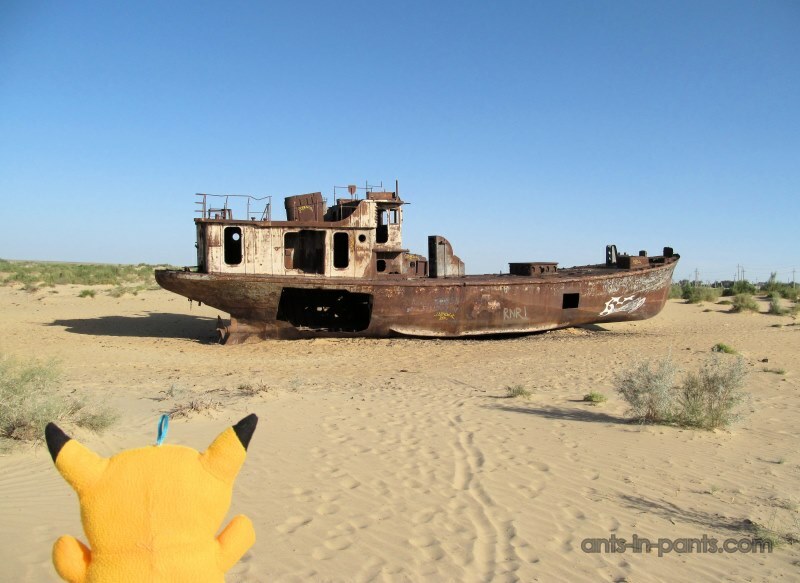 The Aral Sea began to quickly shrink because of the evaporation of its now-unreplenished waters. The dynamics of the sea shrinking is obvious on the photos made from space in different years. 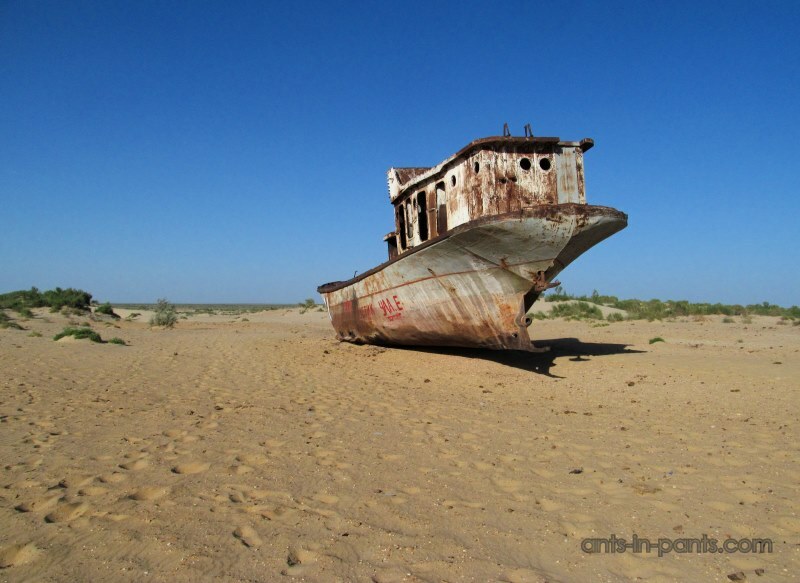 The Aral Sea shrinking is truly an ecological catastrophe. 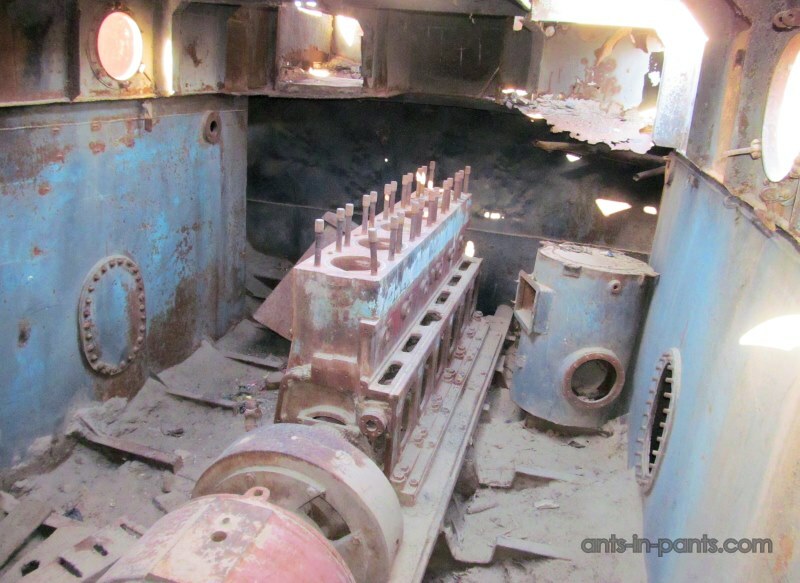 From the dried sea area more than 100,000 of salt and fine dust with impurities of various chemicals and poisons are annualy carried to the upper layers of the atmosphere, adversely affecting all living things. Their tracks are traced in Europe and even Arctic Ocean. 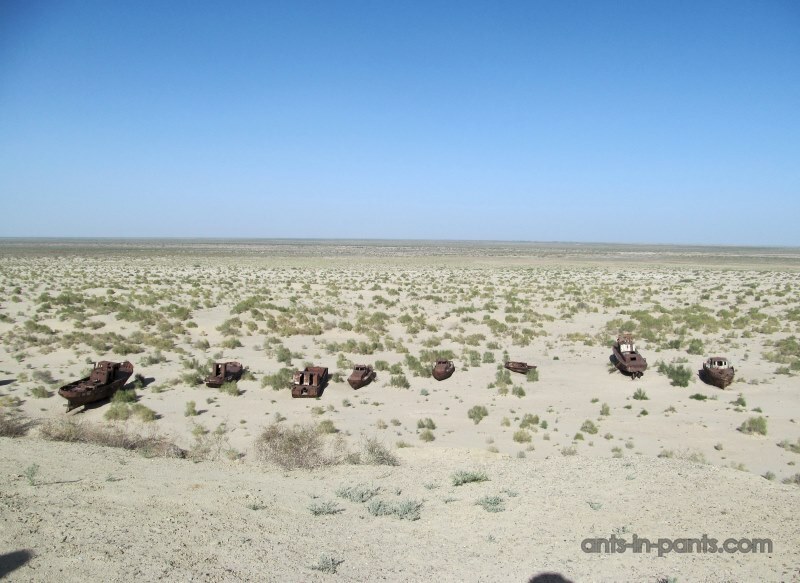 Many species which belonged to Aral Sea flora and fauna are now endangered. But that is not all. 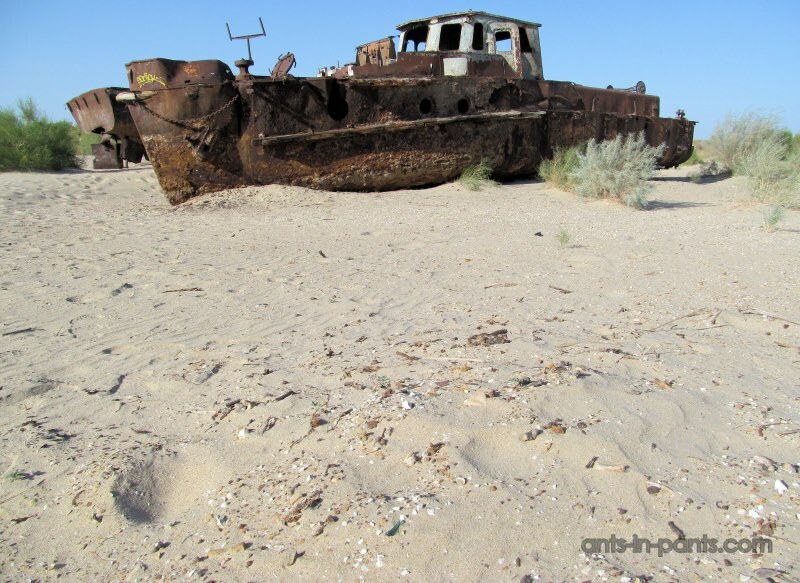 In the late 1990s an island of Vozrozhdenya in the Aral Sea, became another problem. By 1999 the sea had receded to a level where only 6 miles (10 km) of water were separating Vozrozhdenya Island from the mainland. The increasing accessibility of the island from the mainland was of special concern because Vozrozhdenya had been a testing ground for Soviet biological weapons during the Cold War. In addition to testing done there on such agents as tularemia and bubonic plague, hundreds of tons of live anthrax bacteria were buried on the island in the 1980s. In 1999 still-living anthrax spores were discovered on the site, and scientists feared that when the island was no longer surrounded by water, land vertebrates could carry anthrax to populated areas. 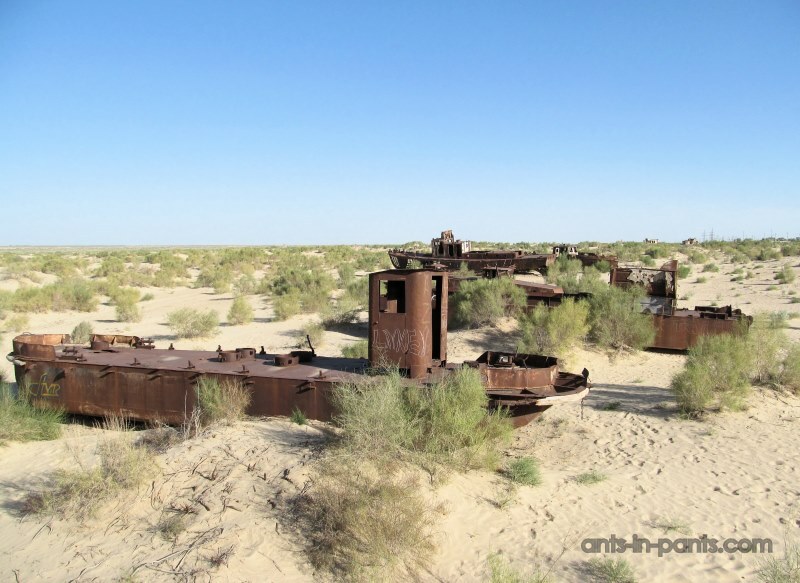 Rusted skeletons of some other ships are now the main attraction of Muynak (N43.79010 E59.03313). 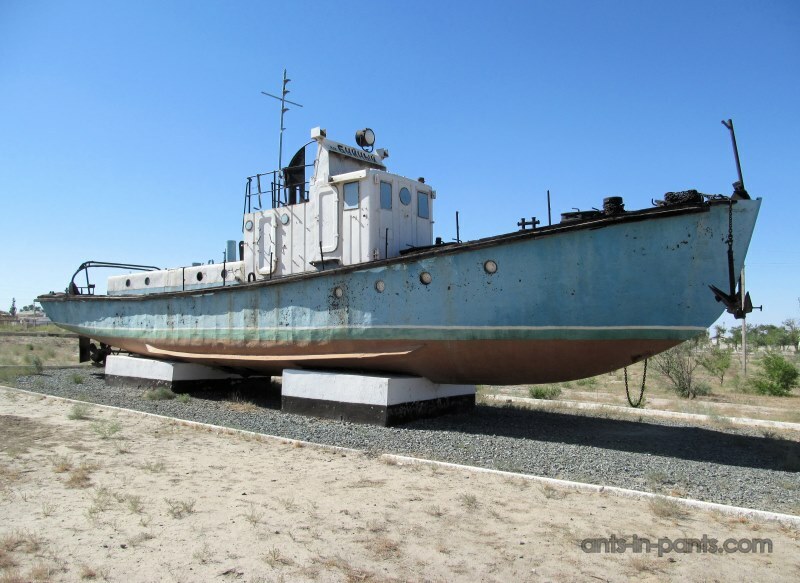 The ship cementery is situated about 2 kilometers away from the bus station. 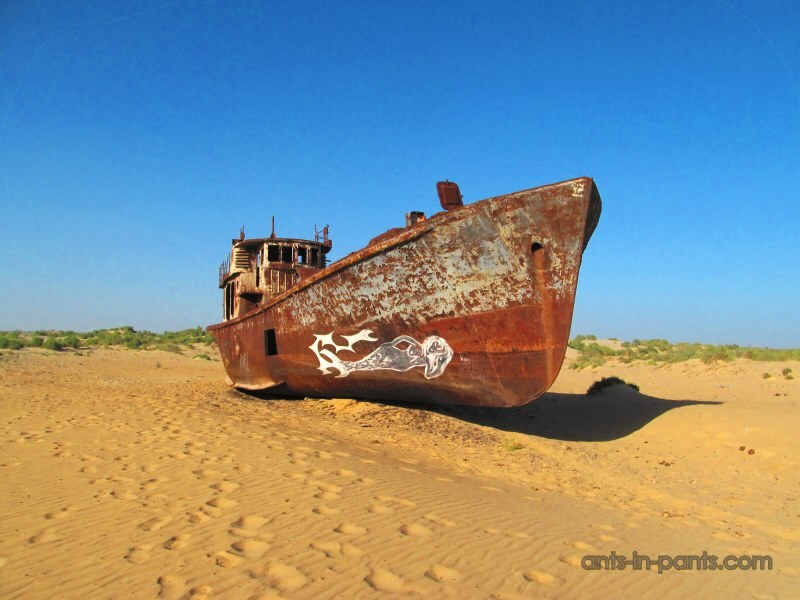 This used to be the seashore, and now the ships are separated from the sea by more that 100 kilometres. 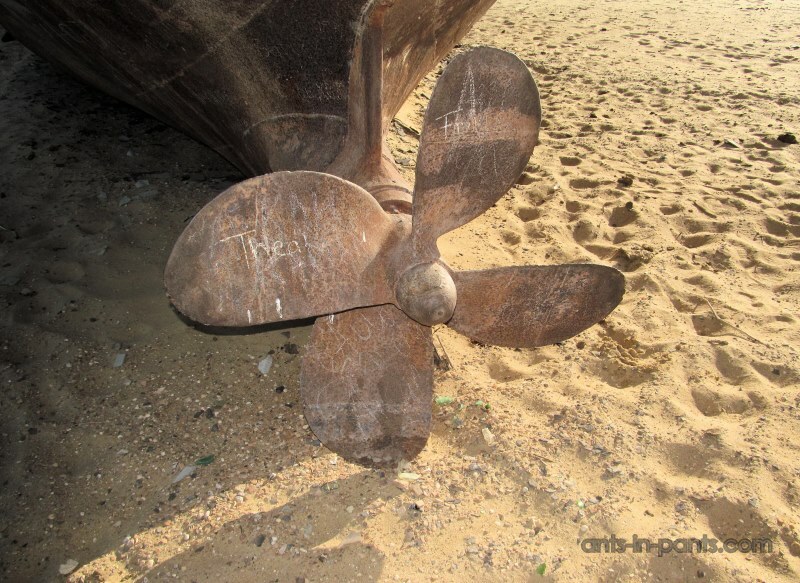 The port turned into the ship graveyard, being one of the forlorn hopes for the town to revive by bringing tourists here. You may also get down to the ships. Make sure you have proper shoes: there are at least many thorns (the camels come for) if not something else dangerous (we imagined scorpions, of course) in the sand. 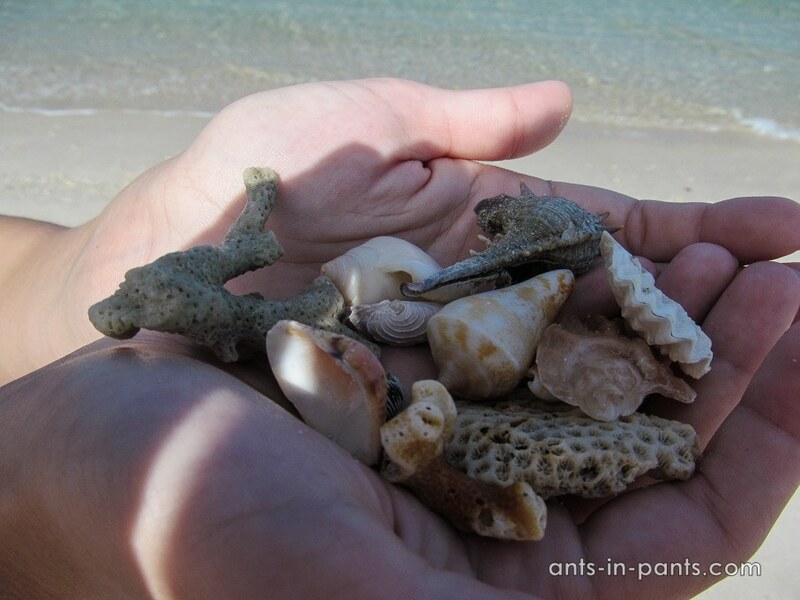 You can still see the remains of the sea shells on the former sea bottom. 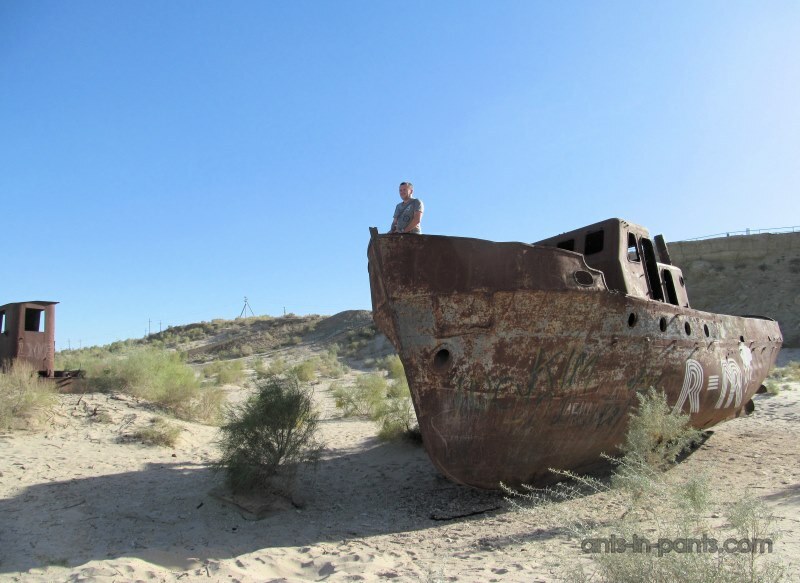 Paying up to 500 euros to locals you may also organize the trip to the remaining Aral Sea 100 kms away (it requires at least two jeeps in case one cannot get through the sand). 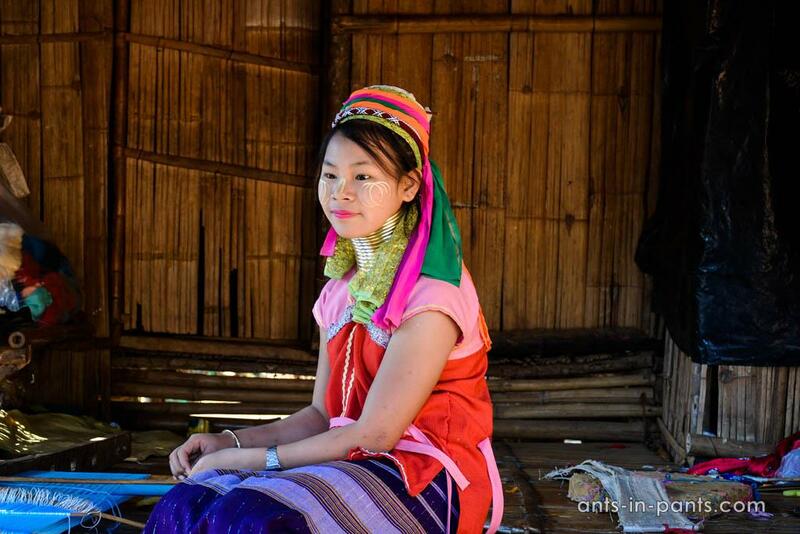 Anyway, we recommend to contact, an English teacher from the local college who obviously speaks English, rents out guest rooms and may help in some other way. 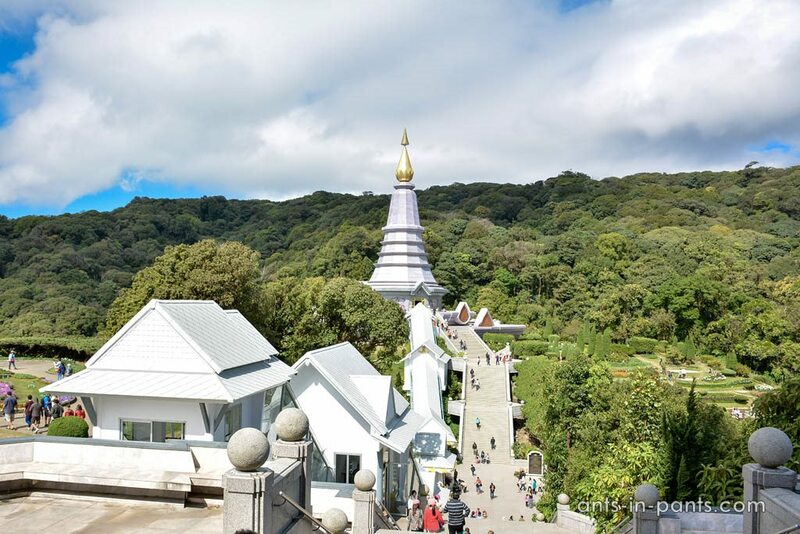 Another option is staying with the teacher of English who speaks English and thus may be helpful: Mahmudzhan Aitzhanov, tel. +998934983090, makhait@mail.ru. 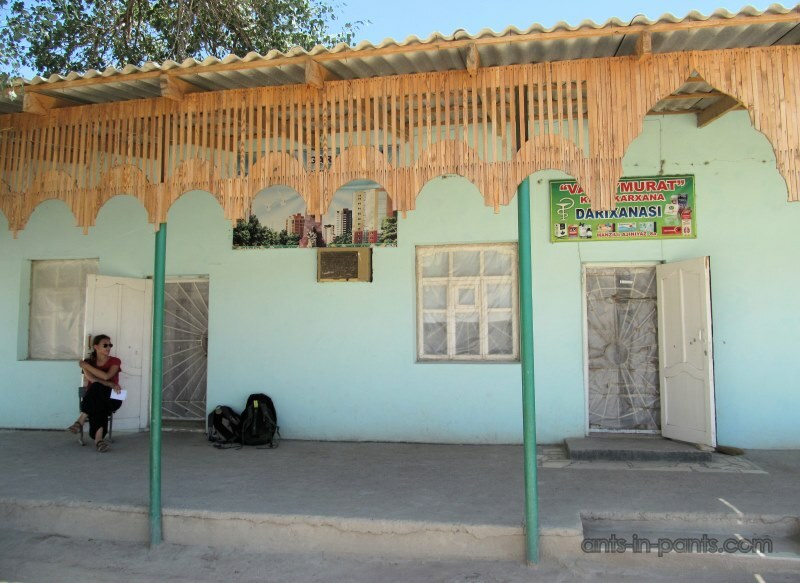 Where to eat in Muynak: Apparently, only with the locals or from the small shops with snacks, we have not seen any café. 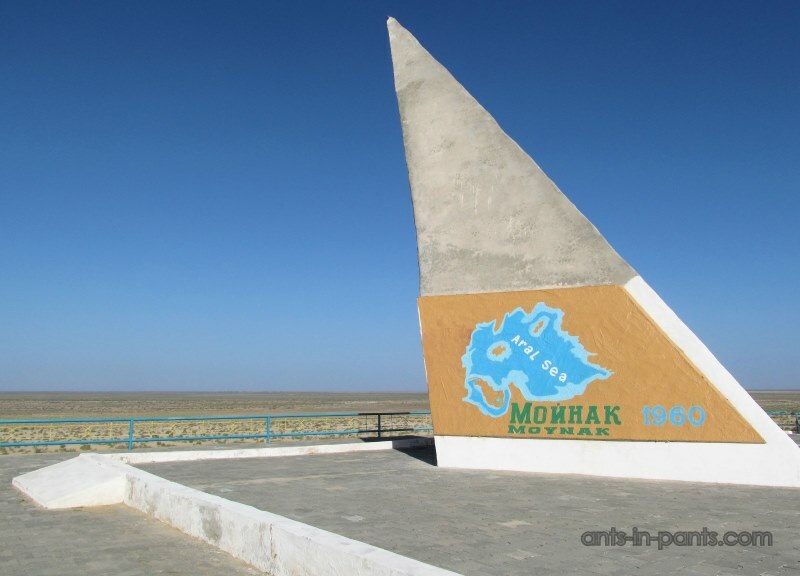 Getting to Muynak: You have to start at least from Nukus, there are 2 buses at 9.00 and 15.00, cost 9000 per person. Another option is going till Kungrad and taking a shared taxi or a bus there. 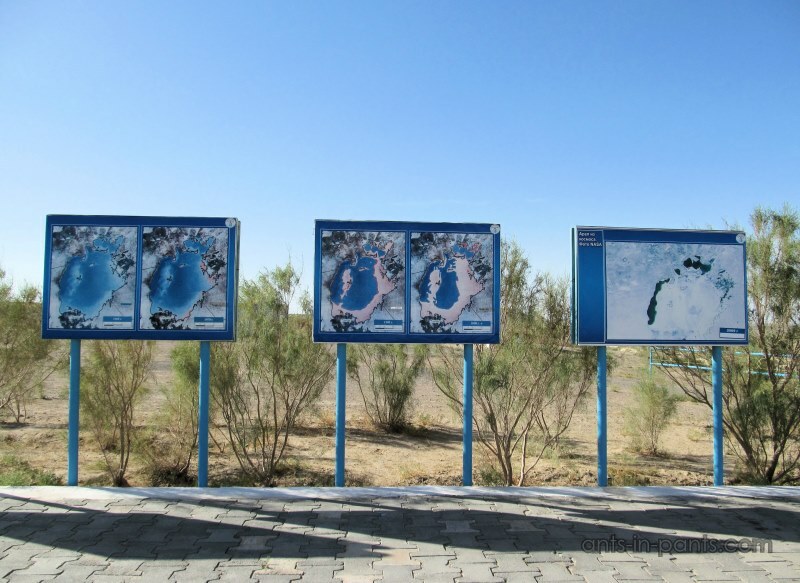 There are 2 buses per day back to Nukus, also in the morning (9.00) and in the afternoon. We were told about one more 7.00 bus, and tried to catch it, but when we came at 6.50 to the bus station, we learned that the bus had already left. Other people at the bus station shrunked their shoulders: 7.00 is approximate time – but if the bus gets full before, it starts earlier. 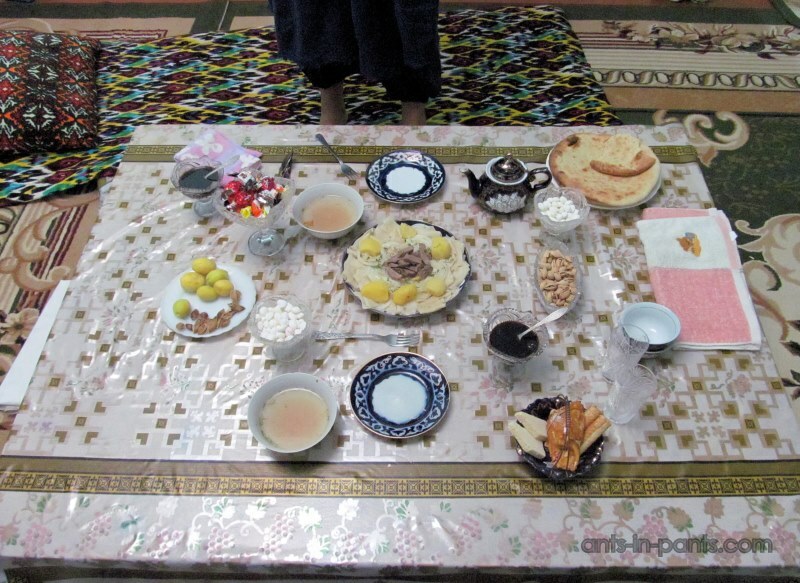 Remember, transport in Uzbekistan an Central Asia in general is not always reliable as we imagine it. 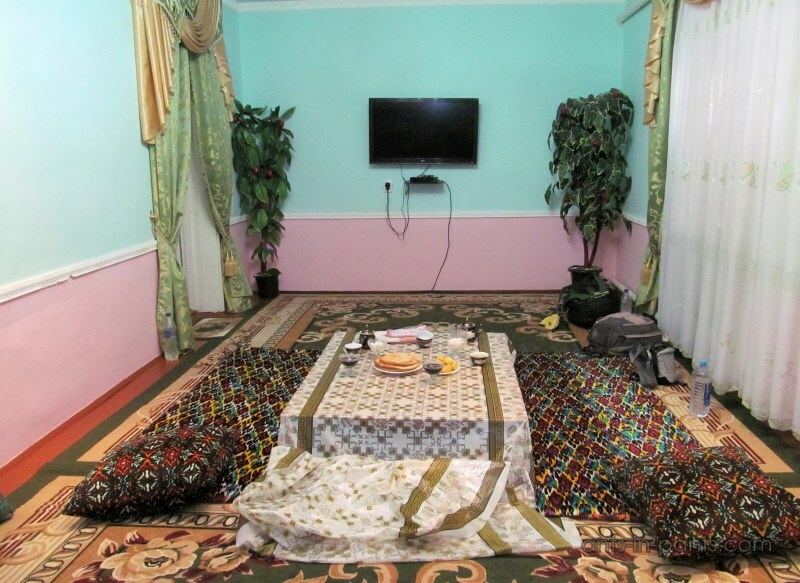 Next day we spent in Urgench, you can find our impressions here.